Our decking stain range is simply called Preschem Timber Stain. It's a wood stain suitable for all timbers and in a range of natural colours. Who has the best decking oil? Preschem believes we do with our wood finishes, such as the Aussie Clear range and Exterior Pine Clear. These finishes can be also used on any exterior timber. Preschem was founded by Chris McEvoy and Chen-Woo Chin, both former CSIRO scientists. They have 30 years combined scientific, technical and industrial experience in of wood preservation. They have published numerous technical papers in Australia and overseas on the subject. 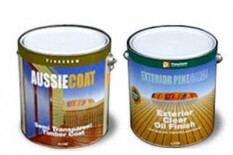 Since 1988, Preschem has become Australia’s leading manufacturer of timber preservatives and exterior finishes. The preservative products will extend timber life by preventing timber decay and wood rot. The exterior timber finishes are formulated to protect and enhance its natural beauty. All of Preschem’s products are designed for maximum performance in Australia’s tough climactic conditions. Preschem takes a considered approach in development, manufacture and end use of its products. Formulations must be environmentally responsible and safe to use. This is irrespective of whether they’re from industry or a home handyman. In order to achieve this, ingredients are carefully chosen to be effective and safe. 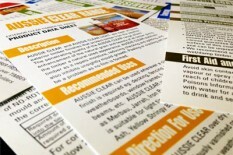 In addition, they also must have minimal environmental impact. Preschem’s production process are designed around the same philosophy. Manufacturing systems incorporate closed loop recycling of waste materials. Since 2000, Preschem has focused on export markets in the southern hemisphere with its pole preservatives. The utilities use Eucalyptus species for power poles. Preschem’s timber preservatives have a proven track record on 3 continents. Australasia, Southern Africa and South America. Our clear timber finishes formulated to highlight the natural beauty of timber as well as remedial treatments for wooden poles and structures. 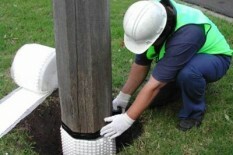 Find out more about Preschem's preservative treatments Polesaver rods and Bioguard bandages which protect wooden poles and timber structures from decay, rot and termites. 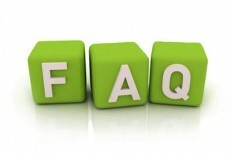 Check out some of the questions that have been asked by others. The application of Preschem remedial treatments costs less than 3% of new pole replacement.